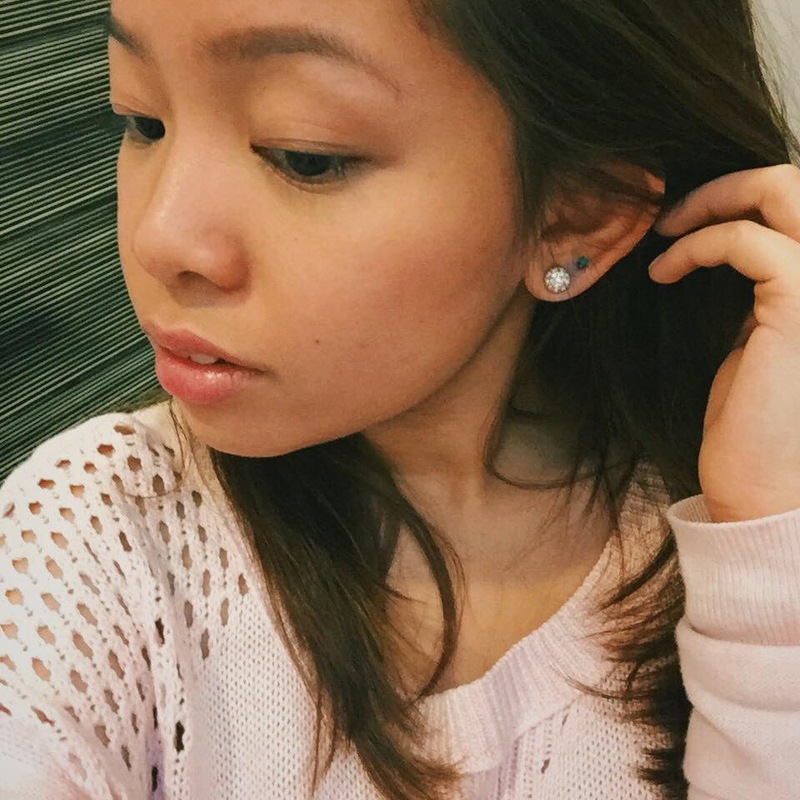 Daintydiaries by Janine ♡ : My ear piercing experience at Claire's! 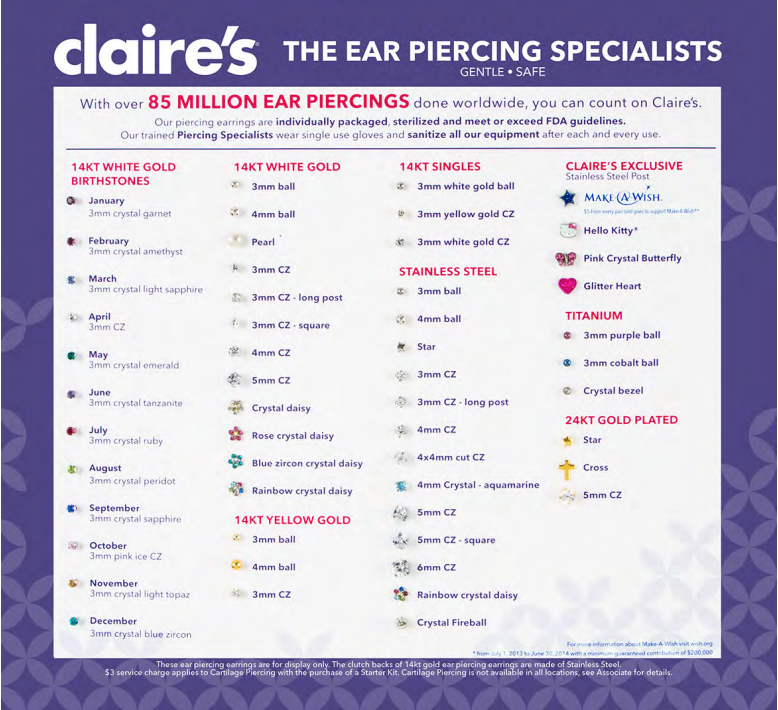 My ear piercing experience at Claire's! There are days when I thank myself for braving to do something spontaneous, and today's definitely one of those days. I literally woke up itching to get my left ear pierced for no definite reason. So I brought the idea up to my best friend, then we decided to get our ears pierced together. I got my left ear lobe pierced at Claire's Bonifacio High Street, it's located right beside Planet Sports. The sales specialists at Claire's were very accommodating, they entertained all of our inquiries and were really friendly. We chose the 14k white gold 3mm crystal emerald stud since we are both May celebrants. The total was Php 2,545.00, inclusive of 1 travel-sized cleaning agent (Claire's Ear Care Solution) and the actual piercing process. Since the set included only 1 cleaning agent, I cashed out an extra Php170.00 to avail of another one.We were also given a 20% off coupon for our next purchase, which I immediately used. The process was actually pretty straightforward. The specialist clipped the strands hanging near my left ear up to get better access, then cleaned the area using a cotton damped with alcohol. She asked me to remove my left earring to have a more accurate estimate on where I want the new piercing to be placed. She marked the area using a purple marker, then asked me if the positioning was okay. After that, she went on and "loaded" the earring to the gun. Her holding the piercing gun against my ear was probably the most heart-wrenching part. I honestly did not know what to expect. But before I knew it, the earring was already attached to my ear. Believe it or not, it felt like a brisk pinch, a brisk pinch delivered by a toddler. Nothing unbearable. Once it was done, the specialist cleaned the area using the special cleaning agent then asked me to twist the earring around. She told me to do the same 2-3 times a day for 3 weeks for immediate healing. She also told me not to remove the earring for 3 weeks. Definitely recommend getting your ears pierced at Claire's! Super cute!! Are you thinking of getting any more piercings?